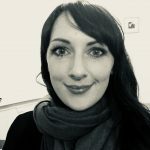 Caitriona studied architecture at DIT and spent more than 8 years working in a specialised sustainability-focused architecture firm before moving on to setting up her own practice which focuses on architecture and interior design for health and well-being. She specialises is residential design and renovations, and anywhere that the well-being of occupants is paramount such as retreat centres, healthcare buildings, workplaces and childcare facilities. Caitriona is a lecturer in Interior Design at Dublin Institute of Design, and is a WELL Accredited Professional.